Google Hotel search results now show a carousel slider for picking the type of room within a specific hotel. 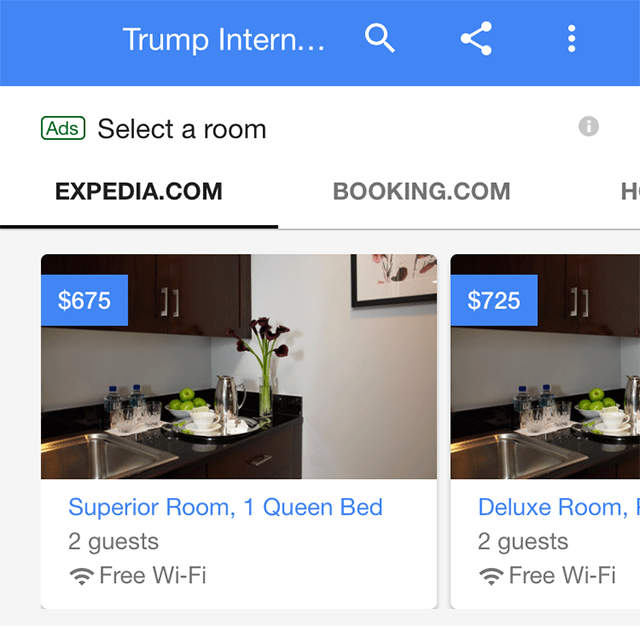 I searched for [trump hotels] (why not) and selected the one in NYC and it came up with a carousel for selecting the room type with the price and type of room by booking web site. This was first spotted by Mordy Oberstein and posted on Twitter, which I had our local expert @sergey_alakov confirm as being new. I see it live, he sees it, others see it, so it must be rolling out to others.